We understand how frustrating it is to spend hours scrubbing your oven clean. That’s why our ovens with the Pyrolytic self-cleaning programme clean themselves at the touch of a button. The oven heats up to a super-hot 480°C turning grease to ash, and then all you have to do is use a damp cloth to wipe clean. A modern oven doesn’t need to be complicated to use. We’ve developed a special solution to help make using your oven easier. Move heavy dishes in and out of your oven comfortably and safely thanks to our fully extendable telescopic wire shelves. 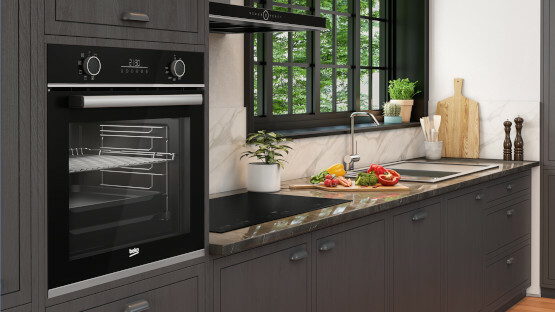 Aside from excellent cooking performance, we know that a stylish built-in oven is important to you too. Most of our ovens come with touch control displays which are really easy-to-use and make your kitchen look modern too. 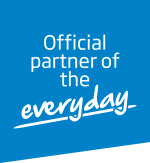 We understand how busy your home life can get and how important it is to be able to cook more food in one go. 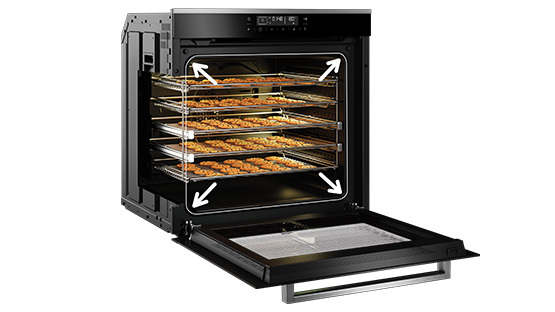 Our large capacity ovens come in a huge 82 litres, while only taking up the same amount of space as a standard oven. If you’re after a double oven but don’t have the space, our Split&Cook oven not only offers two ovens in one, it also delivers high performance. This technology splits the oven in two, allowing you to cook two different dishes at the same time, at two different temperatures, without the mixing of any flavours. And, if you wanted to, you could remove the divider and take advantage of the huge capacity too.